At One-pillar pagoda, Hà Nội, Việt Nam. Travelling in Việt Nam these days, one could not help but noticing that most local tourists they encounter are from the North. Ninety-five percent of tourists that I met during my two months of travel from Sài Gòn to Sapa are from the northern regions of Việt Nam. Are they “cute Northern girls” who can steal your heart in a flash as a line from Phạm Duy’s song goes? Are they elegant as imperial citizens of the old days? Without trying to be poetic, I only have some observations. Imagine: the children running wild yelling at the top of their lungs, their parents calling out for them from a distance. Together, they are loud enough to make the street vendors envy. 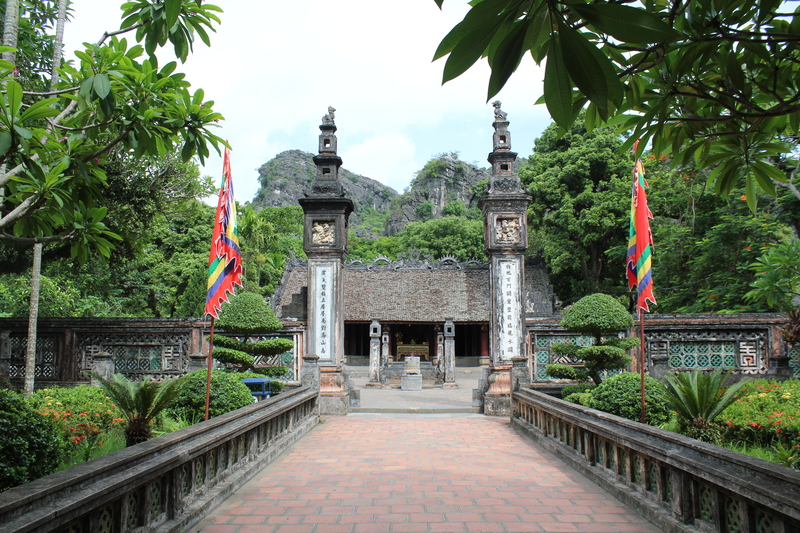 In the quiet of the mountains and the temples, they sound like the broken speakers that go on every morning at six in Hà Nội forcing their way into one’s daily schedule. In the restaurant, many of these adult tourists put both their legs on the chair the soldier’s style while eating. At the airport, they would push you aside to get in the front for check-in, to get into the car, to get on and off the plane. In the meantime, whether at the church or the temple, in the air-conditioned coffee shops or the fancy restaurants; whether it is before the meal, during the meal, or after the meal, the men are puffing cigarettes with joy and eagerness the same way children await candies from their moms. In most restaurants, smokers like them are rewarded with the balcony view while non-smokers are tucked inside, in the corners. These are very common sights as I was moving around in Sài Gòn, Đà Lạt, Nha Trang, Đà Nẵng, Hội An, Quảng Nam, Huế, Hà Nội, Ninh Bình, Nam Định, Hòa Bình, Bắc Ninh, Lào Cai, Sapa. Hearing them talking, I know they are from the North. As someone who speaks Sài Gòn and Huế accents, I have no problem understanding people from different parts of the country except those with very heavy Quảng Nam và Quảng Trị accent, so I know they are from the North – Hà Nội and the surrounding cities. For those used to the consistent non-smoking implementation in the US and the practice of keeping quiet in the public, the noise and the cigarette smoke described above would definitely turn you off. I feel horrible as an imperialist to say this, but I saw a barbarian presence of chaos all over Việt Nam. Yet it hurts. And the men, they surely do know they are killing themselves slowly and softly, at the same time poisoning people around them. But they don’t seem to care. Maybe they don’t believe in the scientific studies of the 21st century regarding smoking. I call that attitude barbaric. If I want to curse them, I cannot compare them to cats or dogs the way Vietnamese people often do to indicate uncultured people. It does not make sense to me, as in the US dogs and cats are our friends and they have their own rights. It does not even make sense to the westernized pet owners in Việt Nam these days who also spoil their pets like their own children. What I could say is that Vietnamese smokers are like parasites such as bed bugs. I am that angry. Yet, I am trying to be careful not to espouse the notion that those tourists represent people from the North altogether. They only represent ninety-five percent of the tourists I came across during my travel the past two months in Việt Nam. Still, just by observing these tourists, I saw a very gloomy picture for the future of Việt Nam. But then, that is only one side of the story. Now flip the coin. Your taxi arrives at the hotel in Hà Nội and, from the blue, a bellboy appears opening the taxi door for you. He (mostly ‘he’) takes your luggage inside and asks you to have a seat. Then another hotel staff member approaches you with a tray in their hand on which there are cold towels for refreshing rolled neatly into round tubes decorated on top with a fresh purple orchid flower. Still another staff member comes and offers you nước sấu, a traditional Hà Nội cold drink. (In fact, the sweet-salty-and-sour drink is made from pickled sấu, the kind of fruit found in Hà Nội only.) You are served like kings and queens. All the staff members are smiling and friendly. An unexpected welcome. After that, during my twelve-day stay in Hà Nội, every time hotel staff caught sight of me, whether in the front or just my back, they would say “Hi.” It seems their new standard attitude is “first to smile, then to greet.” Or the other way around. In any case, they are very friendly and courteous. This is not a welcome you receive from a four- or five-star hotel. 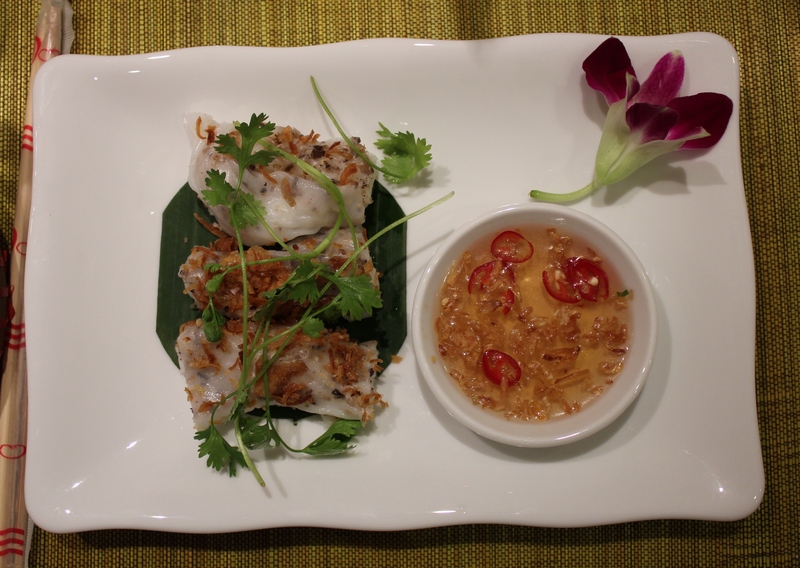 You have actually arrived at a three-star boutique hotel in Hà Nội. 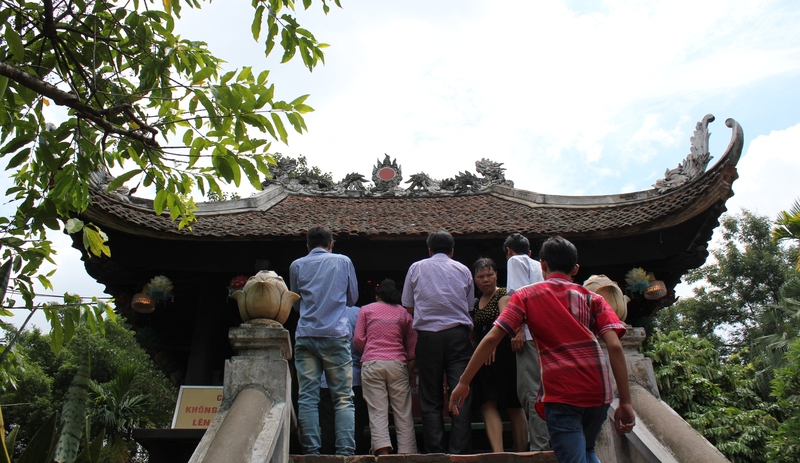 When did the service and attitude of hotel staff in Hà Nội improve that dramatically? 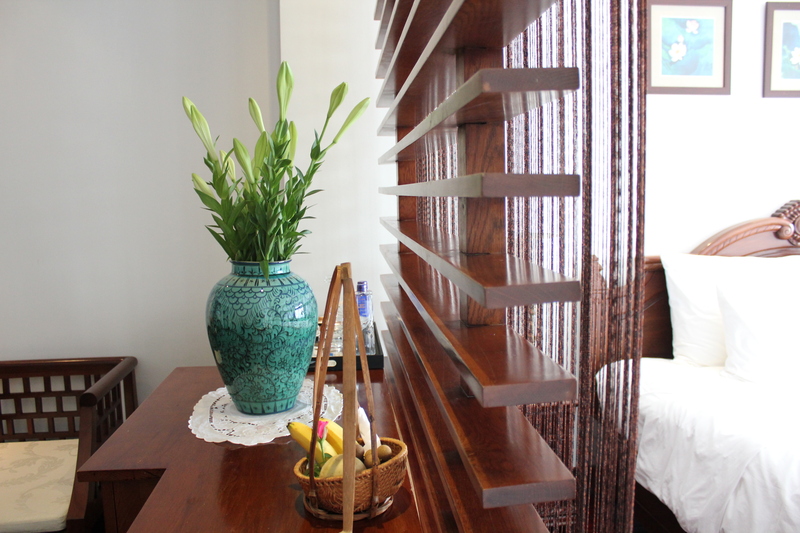 Fresh flowers and fruits everyday at a boutique hotel in Hà Nội. In Việt Nam, boutique hotels are a new version of privately owned mini hotels that mushroomed in the late 80s and the 90s as the country started the economic reforms that led to the free market environment as it is today. During that time, the staff at mini hotels offered the level of service and attitude considered desirable, and a standard for the governmental sector to uphold. Mini hotel staff were capable of smiling, friendly and helpful. In the twenty first century, after twenty years of exposure to the free market, the country has learned to adjust the level of professionalism in the tourist industry to join the international arena. Mini hotels were no longer up to the task of meeting the increasing demands of both foreign and domestic clients in terms of service quality. That is when boutique hotels came into the picture. They are the ‘thing’ of the twenty-first century in Việt Nam and their new name reflects the new time and new development in the level of professional service that hotel staff embody. They associate ‘boutique’ with ‘elegance’ – and they do represent it in the way they carry themselves and conduct their everyday business with their clients. The hotel staff in the areas of management, reception, restaurant are all college graduates majoring in Tourism, or vocational school graduates majoring in Cooking – all of them having at least one year of working experience in the field. Even staff in areas considered less taxing such as concierge are carefully trained by professionals to the point their attitude and manners represent the spirit and professionalism of the whole team. Young, professional, and with good working ethics, boutique hotel staff members make it their mission to please the customers and make their stay the most comfortable and enjoyable. They are willing to take criticism to improve the service of the hotel. Does this all mean that Việt Nam is on the right path to prosperity and success? I cannot make this strong statement but the phenomenon made me think. Compared to all the boutique hotels I have been to (in Việt Nam as well as in Europe), the ones in Hà Nội are one notch better. While three- or four-star hotels in Sài Gòn, Đà Lạt, Nha Trang, Đà Nẵng, Hội An, Huế usually offer the kinds of services and instill in the staff the kind of attitude equal to or lesser than their star level, a large number of three-star hotels in Hà Nội exhibit a four- to five-star service level. Searching for customers reviews and ratings of the hotels in those areas bring up noticeably consistent numbers: while three-star hotels elsewhere usually get the rating of 7/10 with praises interspersed with neutral comments and complaints of some sort, most three-star hotels in Hà Nội receive 8/10 rating or above, many get 9/10 or above. Those rated 7/10 are in a minority. I couldn’t help thinking about the differences between the hotels in Hà Nội and the rest of the country. And questions are what I have for now: Is it because Hà Nội people, or the Northerners in general, are more demanding of themselves therefore they are capable of providing higher quality services? Is it because they are more sophisticated with a keen eye for details that they are able to elevate their level of management? Is it because the fact that they are noisy and inconsiderate to others a very sign of aggressiveness, an indispensable ingredient to progress, that has helped them win the controversial war in 1975 and now lead the boutique hotels growing trend? To pose a bolder question yet: by looking at the exceptional operation of the boutique hotels in Hà Nội and the fact that people from the North have recently been migrating South in huge waves, can anyone really say whether the future of Việt Nam is getting brighter, or darker? After all, Việt Nam as a country it is today originated in the North then expanding with southward movements. It may be a sci-fi question. But I wonder still. Hoa Lư Ancient Capital (established 10th century), Ninh Bình, Việt Nam.